. . . But the last two times that I truned him out for a run he seems to be very weak in his back legs after a couple hours of exersize. 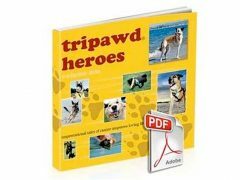 Visit Tripawds Start Page for Coupons! Don’t wait. 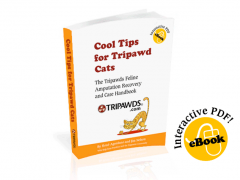 Your Tripawd needs all the help he or she can get in order to stay strong and healthy. Learn more about Loving Life on Three Legs and save 30 percent on a copy from now until midnight Pacific Time on February 28th.